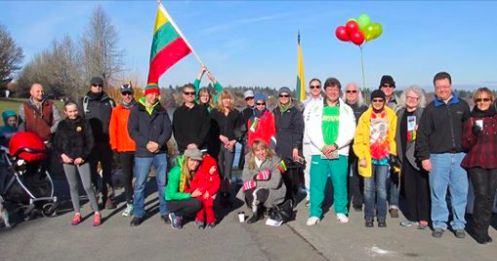 This is a reminder that the General Meeting of Seattle LAC will take place on Saturday, March 18th at 6 PM at the house of Vaštakas family address: 29302 61st Ave S, Auburn, WA. We‘ll review the activities and events of the past and of the future and will elect the new Board. The list of candidates will be presented shortly. A lot was done by the current board during the past couple of years and we are proud of our happenings. Still, the times are changing and we are in need to constantly renew our leadership – to avoid stagnation and to encourage participation, especially by inclusion of the representatives from our upcoming generation. We want to see new faces who would face the huge and challenging task to highlight the path forward for the whole Community. We need some fresh blood capable to engage the younger people and to inspire them to foster diverse activities while defining the renewed objectives of our Community, encouraging connections with Lithuania, Lithuanian culture and heritage. Please direct any questions to the board elections committee: Danutė Rankis (danutemusteikis@gmail.com) and Irena Blekys (irena.blekys@gmail.com). Seattle Lithuanian Community fall meeting! The second film in our film series is the Lithuanian 2012 documentary, “How We Played the Revolution” with English subtitles. New School Year at Linas Lithuanian Heritage School Begins September 16th at 9am!